Focused on Cancer. Focused on Life. 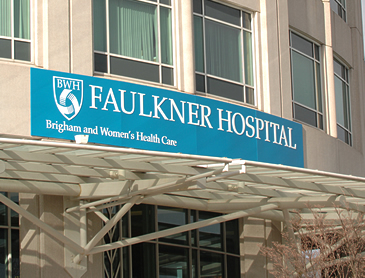 Dana-Farber/Brigham and Women's Cancer Center at Brigham and Women's Faulkner Hospital (DF/BWCC at BWFH) offers outpatient oncology service to patients with breast, gastrointestinal, and thoracic cancer. Additional services provided at this location include psychosocial, nutrition, and pharmacy as well as the opportunity to participate in clinical trials in a community setting. For patients with skin cancer, the Mohs Clinic at DF/BWCC at BWFH performs performs Mohs micrographic surgery, a highly-specialized technique for removing skin cancers that offers patients an excellent chance for a cure. Patients who require surgery or inpatient care for their cancer treatment will go to either BWFH or Brigham and Women's Hospital, depending on their needs and preference. Find out more about upcoming CME courses.